Hello Sampling Bees! Who loves cheese? Raise your hands! I'm raising mine! Hehe! Today, I share with you Boursin Cheese! It’s traditional to offer one hard cheese, one blue cheese, one semi-hard cheese, one “stinky” cheese, one soft blooming rind, and one herbal cheese (Boursin® is the perfect choice). Cheese plates should be served at room temperature. This allows the complexity of each cheese’s flavor to open up. Three different cheeses make a cheese plate, but a selection of five is ideal. Anything more than six may cause palate fatigue! A well-rounded cheese plate features cheese and cheese carriers with a variety of textures. Consider serving rice crackers, pumpernickel or rye toasts, or kale chips with your traditional baguette. I love this cheese! It's smooth and creamy. Easy to dip or spread onto crackers. Tastes great with carrots, celery, even apple slices! Seasoned with the perfect amount of herbs and garlic. Can also be used in recipes! In an omelette, as a rub for a turkey, etc! Melt butter in small non-stick skillet set over medium-high heat. In small bowl, beat eggs. Pour eggs into heated skillet, swirling eggs around pan. With spatula, gently draw egg mixture away from sides of skillet into the center, allowing egg mixture to flow towards sides of skillet. When eggs are just about set, season with salt & pepper. 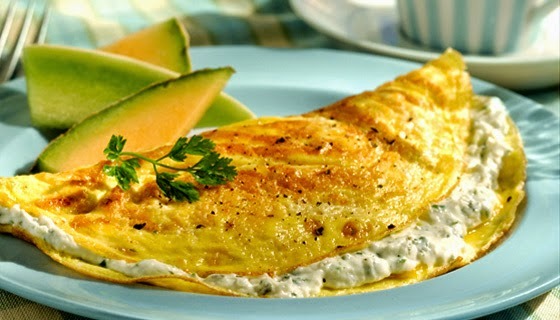 Drop bits of Boursin Cheese onto half of omelette. With spatula, gently flip the omelette in half, keeping cheese-side down. Cook for another minute or until Boursin is melted and omelette is golden brown. Visit www.boursin.com for recipes, tips, store locator and available flavors.